Brian Fagan, Professor Emeritus UCSB, takes us on a journey through the fascinating world of archaeology in a search for the answer to a fundamental question: Why does Archaeology Matter? We visit Africa and Australia, Europe, the Americas, China, and even the Pacific Islands, in search of answers to this complex and surprisingly rarely asked question. 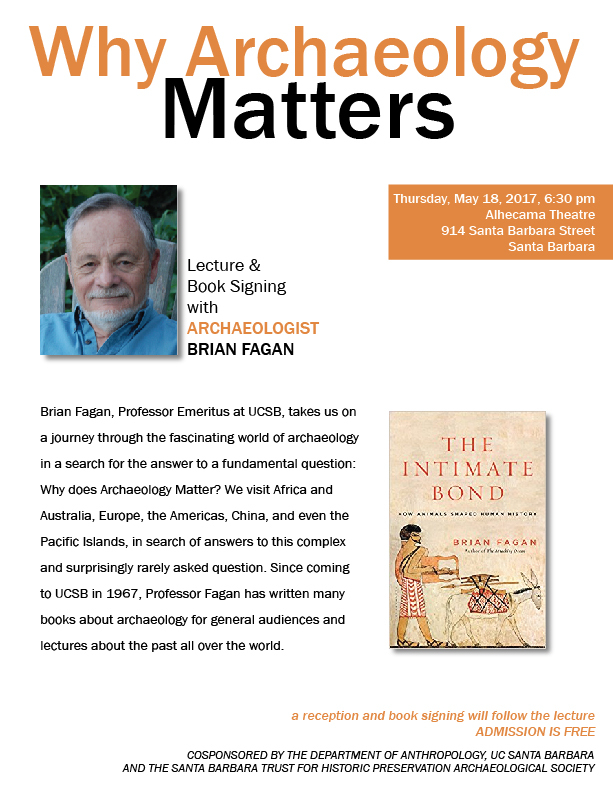 Since coming to UCSB in 1967, Professor Fagan has written many books about archaeology for general audiences and lectures about the past all over the world. A reception and book signing will follow the lecture. Admission is free.